Being aware of our nature is good, however, it be even better if it will start in childhood. Let us all give our children the chance of being eco friendly at an early age by giving them this super cute solar-powered toys called the robotikits. 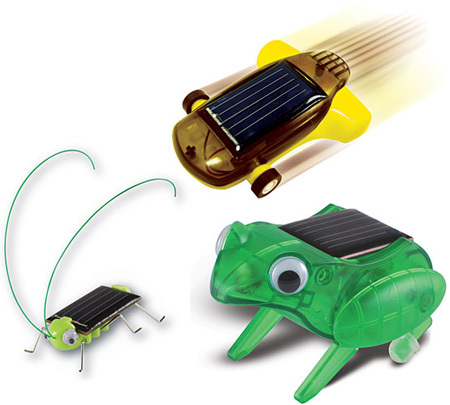 It consists of three mini solar kits including the super solar racing car, frightened grasshopper and the happy hopping frog. These three mini solar kits are very easy to assemble and demonstrate alternative energy principle. All are solar powered meaning; they run on sunlight and does not need batteries to power them on which is a big advantage.